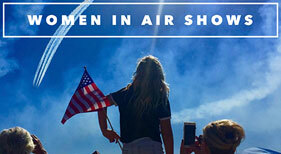 The Air Show Network, the leader in Air Show entertainment where Air Show fans can expect the finest in aerial entertainment, ground displays and consistently excellent guest services. Air Show sponsors will enjoy professional management of every detail of their promotion ensuring that their investment offers impressive value when compared to other marketing mediums. ASN recognizes Darcy Brewer, Executive Director of California Capital Air Showas as our March recipient of #WomenInAirShows! To celebrate each awardee, ASN is donating $1,000 in her name to the Bob Hoover Academy to sponsor a deserving youg lady to learn to fly. Congratulations Darcy!!! 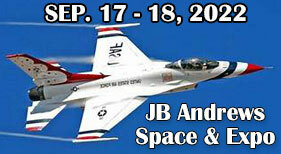 Come join us for non-stop thrills with not one but two of the greatest American Jet Teams. USAF Thunderbirds and USN Blue Angels! 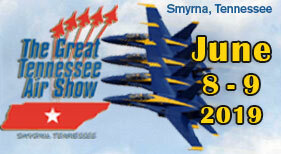 The Great Tennessee Air Show is returning to Smyrna June 8 & 9, featuring The USN Blue Angels! Lots of fun for the whole family! 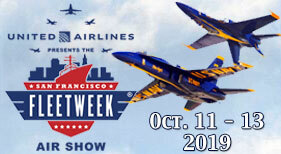 Get Ready For Thrilling & Exciting, High-Precision Maneuvers of The USN Blue Angels Over San Francisco.